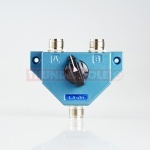 Heavy duty, cast metal 2-Way switch that allows you to connect two antennas into one radio. Or vice versa, two radios into one antenna. 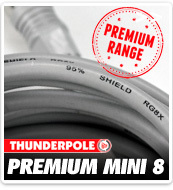 N-Type connections. 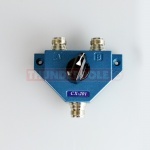 Heavy duty, cast metal 2-Way switch that allows you to connect two antennas into one radio. Or vice versa, two radios into one antenna. PL259 connections. 10 Amp in-line noise filter that stops electrical interference/noise on auto power source fed to CB Radio, Power Amplifier, Ham Rigs, etc. 20 Amp in-line noise filter that stops electrical interference/noise on auto power source fed to CB Radio, Power Amplifier, Ham Rigs, etc. 30 Amp in-line noise filter that stops electrical interference/noise on audio RCA leads for car stereos and car stereo amplifiers.